The Center of Knowledge is a coalition of resources for marine industry statistics and research curated by NMMA to provide industry stakeholders, the press and the general public with current, reliable information on the recreational boating industry. Click on the resources listed on the diagram below to access each group’s website. 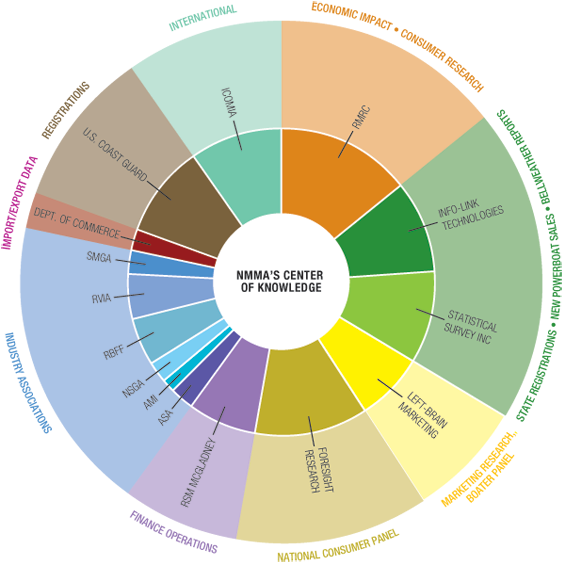 NMMA also maintains a library of relevant industry studies for its members.